The 177-acre focal point of the Sloan Lake real estate area is Sloan Lake itself. Bordered by West 29th Avenue, West 10th Avenue, Federal Boulevard and Sheridan Boulevard, this picturesque residential neighborhood enjoys a rich history dating back more than a century. 19th-century homes built by Denver Architect, William Lang, Loretto Heights University, and a wildlife refuge all add to the quality of life here. 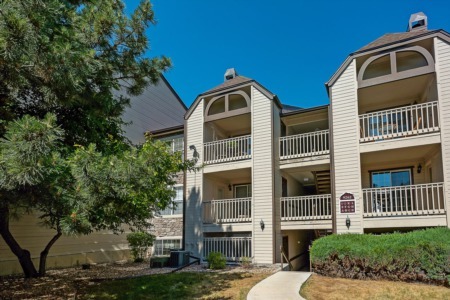 Residents of the Sloan Lake real estate area enjoy the convenience of nearby shopping facilities at 32nd and Lowell Boulevard and easy access to I-25 and major city throughways. Sloan Lake is a major social attraction, and visitors from across the state come to enjoy the area year-round. A good many homes in the Sloan Lake real estate area were build in the 1930s and 1940s making the neighborhood one of Denver's few true "pre-WWII" communities. But the history and the character of the architecture here is being challenged by the high-end duplex and the condominium, and although the neighborhood may benefit from new arrivals and their appreciation of the area, various zoning and permitting changes have had a hand in slowing the destruction of this area’s historic charm. Saint Anthony's Hospital, Denver's major hospital facility west of I-25, St. Anthony's provides not only medical care, but it is also a major employer in the area. Homes in the Sloan Lake area nearest the hospital are popular with doctors and hospital staff. The major community attraction here is Sloan's Lake itself and the surrounding park. Sloan's Lake Park is home to the largest lake in the area, but tennis courts, bike paths, picnic areas, and city maintained flower gardens add additional flavor. Sloan Lake is the center of many unique events. Once a year, the lake attracts visitors from far and wide for the Dragon Boat Festival, an outdoor festival with an array of booths and exhibits featuring a race on the lake. In winter, the park is marked by the tracks of cross-country skiers who value the park's scenery and terrain. Sloan Lake real estate enjoys a particularly impressive unobstructed view of the Denver skyline.